One day 241 years ago, John Hancock led a group of patriots in signing a document that quickly became the banner of democracy across the world. As with most holidays, the significance of this anniversary has evolved over time, and today the principles to which those 56 men ascribed their names is often lost amid newer traditions such as fireworks, barbecues and — if you watch ESPN — competitive eating. This is not to invalidate the understandable yearning for a national day of summer leisure, but it is to say that the Fourth of July has become increasingly dissociated from the enduring values it should represent. The aimlessness of our civic consciousness is not new in the year 2017, but it is particularly striking in today’s national climate. Over the past few years, countless individuals on both sides of the political aisle have bemoaned the flaws in the ideal America, including the demise of free speech and a resurgence in racial rhetoric. In this fractured environment, the country is in dire need of a reminder of the importance of our Founders’ ideals. It is a truism that something’s value is recognized by only the absence therefrom, and this applies as fully to a concept like democracy as it does to any physical object. The clearest antithesis of American democracy in modern times is German Nazism. The fascist movement embraced the devil of racial prejudice with an early manifestation in the Nuremberg Laws, which institutionalized bigotry in a largely nonviolent manner. In just a few years, of course, this state-sponsored racism gave way to the most brutal crimes against humanity: the murder of 6 million Jews and millions of other minorities. Viewed through its opposite, the necessity of American-style democracy is more than supported — it is amplified. When our Founding Fathers championed the cause of liberty, they were focused on suffrage and taxes. Through the lens of the Holocaust, however, we can fully appreciate the constitutional protections and values we enjoy as U.S. citizens. 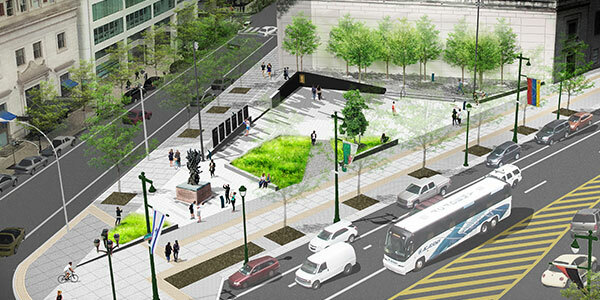 In Philadelphia, an outdoor Holocaust Memorial Plaza is about to receive a multi-million-dollar expansion to drive home this specific point. 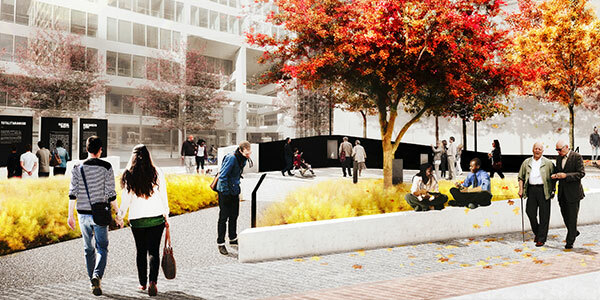 Situated within blocks of Independence Hall, where Thomas Jefferson eternalized the message of democracy, the memorial plaza will center around six pillars highlighting the universal lessons of the Holocaust. 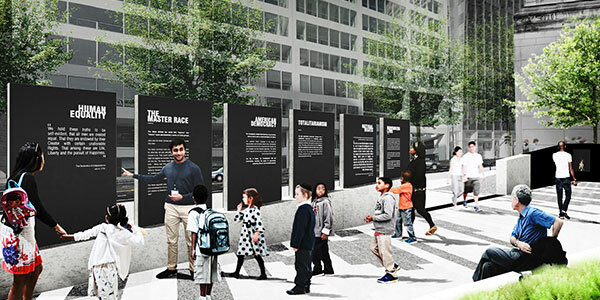 These pillars will contrast six motifs of the Holocaust with their humane, democratic counterparts, juxtaposing “The Master Race” and “Totalitarianism,” for example, with “Human Equality” and “American Democracy.” The message is clear: By promoting our country’s values, we can ensure that these tragedies are never repeated. These American ideals are universal. Our imperfections notwithstanding, the country that these values have helped create has for centuries served as a beacon of humanity in a world too often dominated by irrational hatred and prejudice. It is unfortunate to acknowledge something’s grandeur solely when presented with its antithesis instead of feeling secure while recognizing its beauty.The crackle of fireworks on July Forth would please military men like George Washington, and many of his compatriots would enjoy good barbecue fare. But if we can weave into our celebrations some gratitude toward those who fought for the democracy we enjoy, it would provide Independence Day with the renewed level of meaning it truly deserves. Martha Allen is the director of the Philadelphia Holocaust Remembrance Foundation.